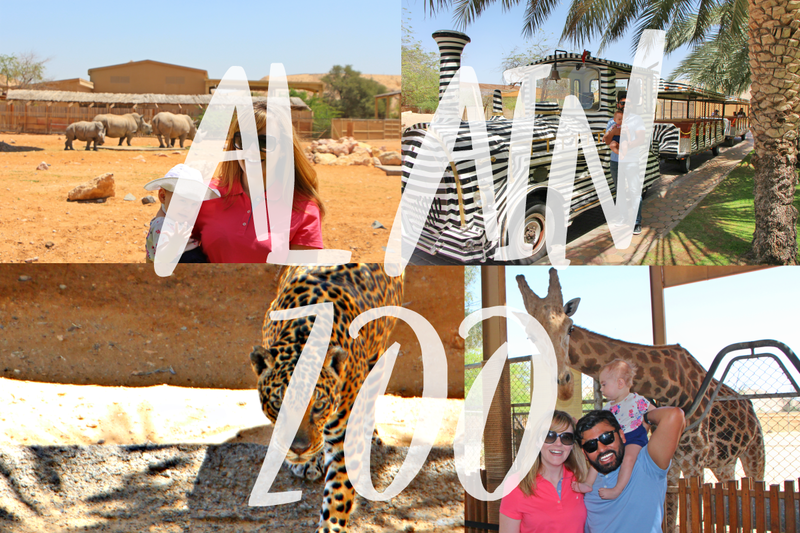 This past weekend we decided to head to Al Ain Zoo before the weather gets too hot and we melt into wax. Not only that, it was also the munchkins ninth month birthday so what better way to celebrate? 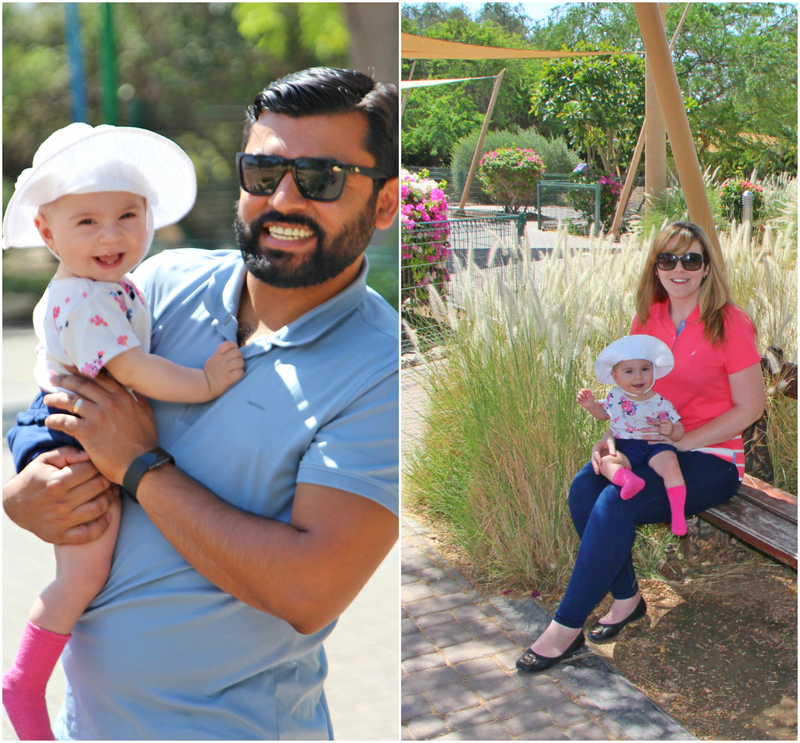 The city oasis of Al Ain is approximately a 90 minutes drive from either Dubai or Abu Dhabi. 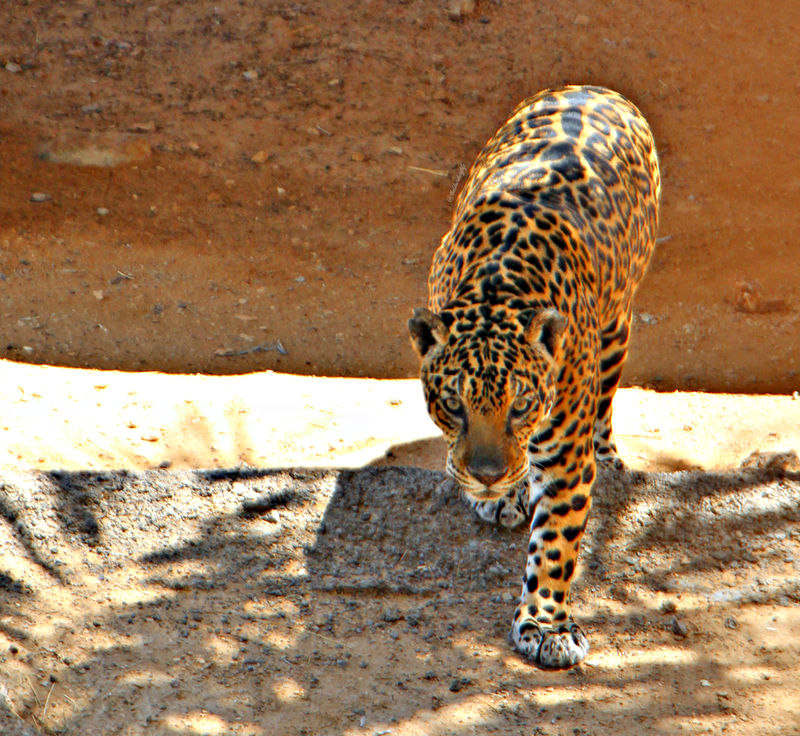 The zoo is spread out of 400 acres and has over 4,000 animals. Tickets are 30AED/pp. For an additional fee of 20AED per family you can feed the giraffes, an experience worth every dirham! 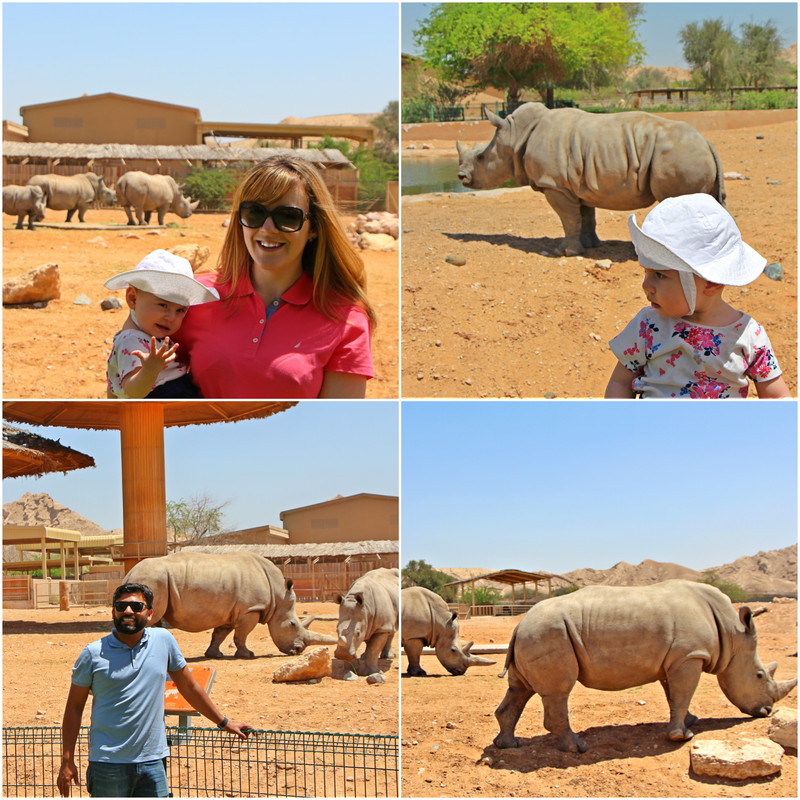 By chance we also got an up and close personal encounter with the African Rhinos. Baby Girl could not have been more excited. Grinning ear to ear with joy at every new sight and sound, except of course when we wanted a picture! And when you're too exhausted to take another step the Zoo offers a free 15 minute train ride around the park!